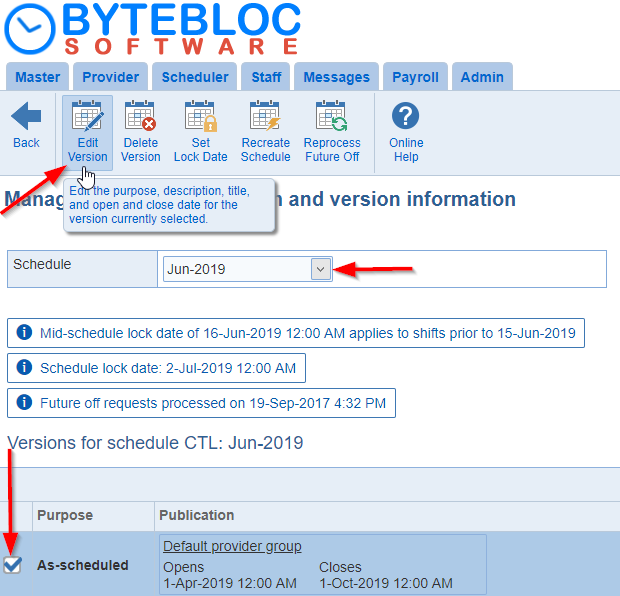 Yes, the 'Opens' date and time can be updated in the 'Manage' screen or the 'Version Info' window. Choose your schedule from the drop down menu. Select the check box next to the 'As-scheduled' version below. Now, click on the 'Edit Version' button in the above menu. In the 'Publication' section, you can change the 'Opens' date/time to today's date and a future time. In the 'Publication' section, you can change the 'Opens' date / time in the future. Lastly, click the 'OK' button to make the change. The schedule will be available from the 'Master' tab. 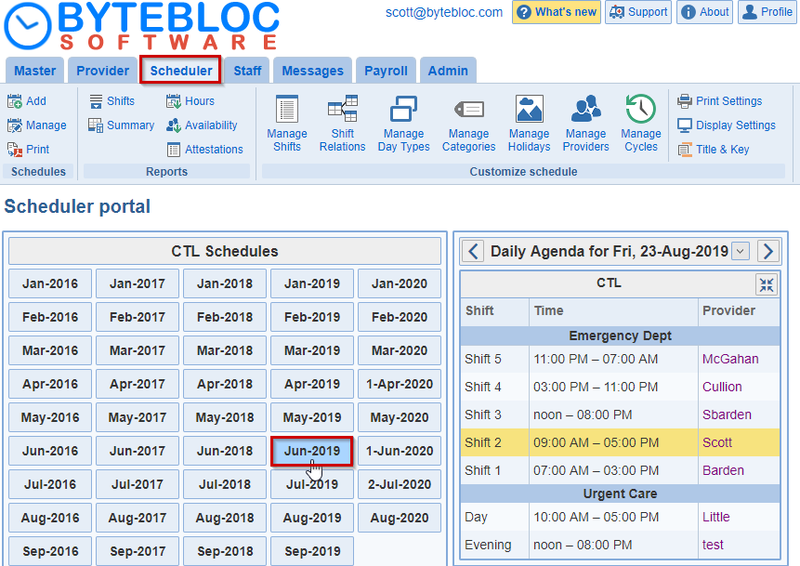 Select the 'Scheduler' tab and click on the schedule period below. 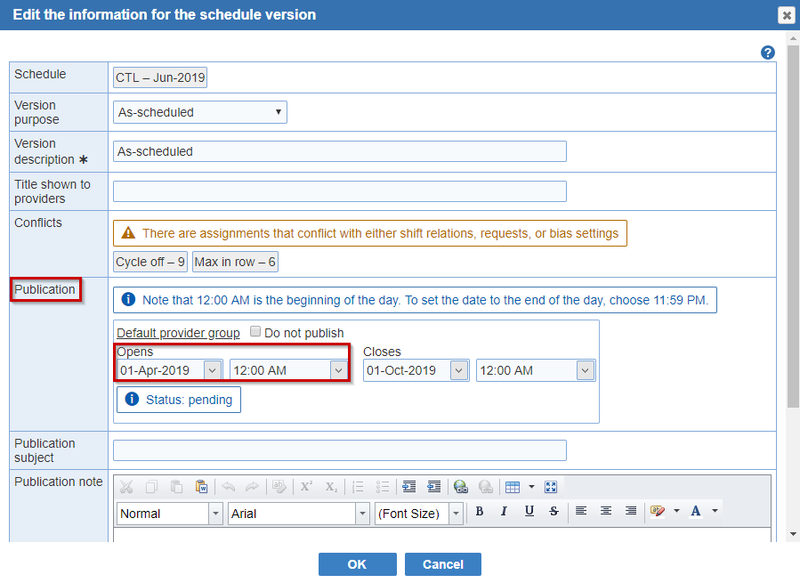 Double-click on the 'As-scheduled' version. In the revision screen, click on the 'Version Info' button. Now, in the 'Publication' section, you can change the 'Opens' date / time. Lastly, click the 'Save' button to apply the change.